Laurens Baptist Association | The Laurens Baptist Assoociation exists to Equip and Encourage churches in working together to develop disciples of Christ who will impact Laurens County and the World with the Gospel of Jesus Christ. The Laurens Baptist Assoociation exists to Equip and Encourage churches in working together to develop disciples of Christ who will impact Laurens County and the World with the Gospel of Jesus Christ. What is the meaning of “Laurens Island”? Click About and find out for yourself. Thank you for visiting our Laurens Baptist Association website. 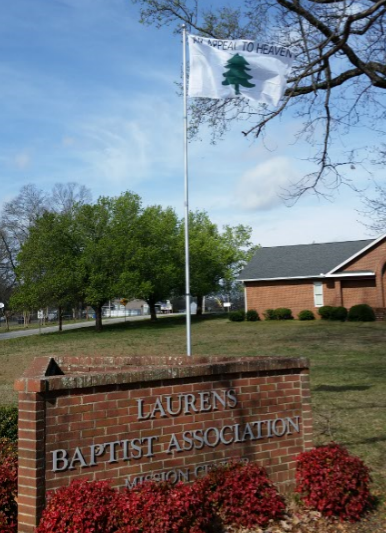 The Laurens Baptist Association (LBA) is a network of 51 Southern Baptist Churches and 2 mission churches in Laurens County, SC who are committed to fulfilling the Great Commission of our Lord Jesus Christ. Our goal is to make this website practical so that believers can be further equipped to impact a world that does not have a relationship with the one true God through His Son Jesus Christ. 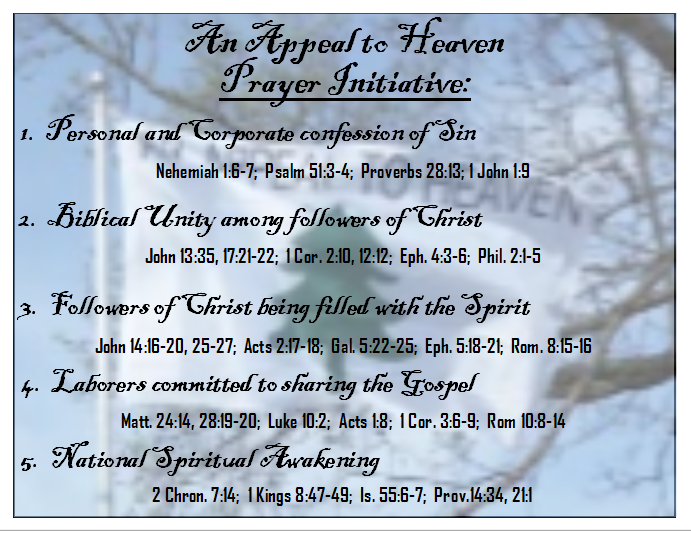 We are asking you to join us as we unite our hearts together in making our Appeal to Heaven for Laurens County and for America. Below are five things that we would ask you to pray with us about. Each one is Biblically based and each builds upon the next. God used George Washington’s “Appeal to Heaven” to birth this nation, and we are making our Appeal to Heaven for the spiritual rebirth of our Nation. Will you join us? Pastors and Wives Dinner: Tuesday, February 5th, 6:30 p.m. LBA Mission Center.